What Instapaper Triggers and Actions are Supported? Add Page - Add a URL to an Instapaper account. The first thing you'll need to do is connect your Instapaper Account to Zapier. You'll want to type in your Instapaper username and password. 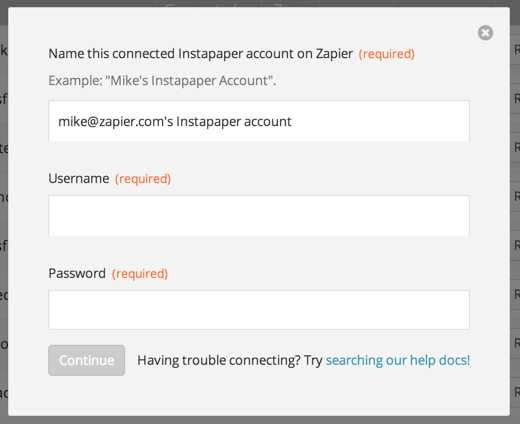 This gives Zapier permission to add things to Instapaper on your behalf. If you typed your account details correctly you'll see a success message.